Mandor is a town that is located at Km. 114 of the railroad Cusco – Hydroelectric 1 hour walk from Machu Picchu Pueblo along the banks of the Vilcanota and pushing to beautiful places in the forest brow wet. During the walk you can appreciate the diversity of flora and fauna of Machu Picchu can see also flowers like begonias, bromeliads, orchids, various shrubs, ferns, native trees. Also during this hike, will accompany the singing of the birds of the place like the hummingbirds, parrots, tarangas, you will appreciate butterflies (400 species) and a complex diversity of fungi, different colors and sizes. After 1 hour of intense and unforgettable walk, you will reach Mandor Gardens, where you will find the sample of the flora and fauna of Machu Picchu, likewise, you will know the "Mandor Waterfalls". These places are available to the public all day, but it is recommended to visit from 06:30 hrs. 16:30 hrs. This research center, as reported by The City of Machu Picchu. It is located at Km. 112, 25 minutes from Machu Picchu Pueblo. In this place, you will see orchids, flora and fauna in general. As you can see an important collection of medicinal plants. The attention are Monday to Sunday from 06:30 hrs. 16:30 hrs. It is 20 minutes from Machu Picchu Pueblo at Km 112; where they perform activities of interpretation of butterflies and you can take a guided tour. Opening hours from monday to Sunday from 07:00 hrs. to 16:30 hrs. The Putucusi mountain, which in Quechua means "Mountain Alegre" is a circular mountain, located northeast of the Vilcanota River in the district of Machu Picchu, province of Urubamba, department of Cusco. The Putucusi, has a height of 2,500 m.s.n.m. (8,202 ft) and is the third Sacred Mountain of Machu Picchu. 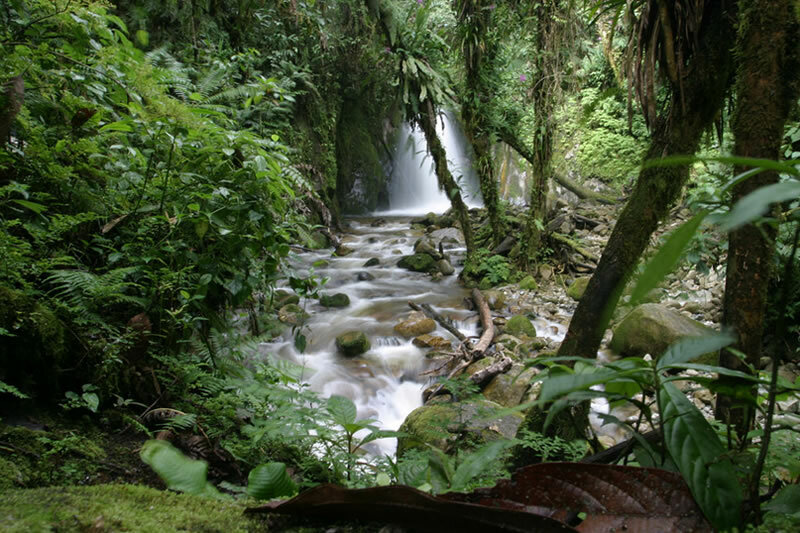 The Putucusi is a mountain that is covered with dense vegetation, with the presence of ferns, alders, pisonay and more than 90 species of orchids, with own fauna of the jungle, butterflies, birds, parrots, a variety of insects, etc. The ascent, has a high degree of difficulty, a road, signposted and in different ways, with small steps, bridges and the most dangerous part are made of wood stairs almost 12 meters high, adhered to the mountain and with a slope of 80 ° and 90 °. The walk takes about 2 hours, depending on the physique of the passenger, in view of the mountain walls are nearly vertical. The Putucusi, was a place of surveillance and control of the Inca city of Machu Picchu, get to the top is a challenge. 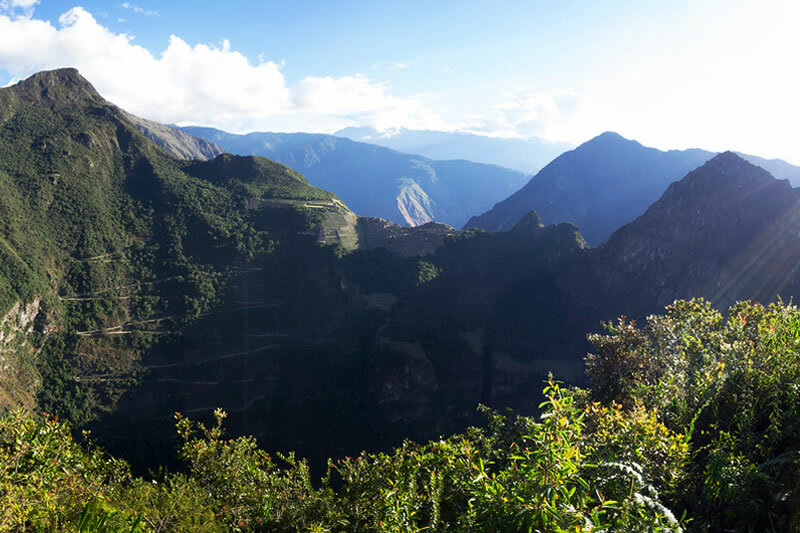 From the top you can see in all its splendor, the canyon of the Vilcanota, mountain Machu Picchu and Huayna Picchu Mountain. Once the climb begins, you will meet a lot of vegetation, is a difficult climb, requiring much physical effort, has a high degree of risk and medium difficulty, people who suffer from vertigo is not recommended. If you decide to make this trek, you will remember, be careful enough, especially when climbing the wooden stairs and avoid accidents and meet the challenge of reaching the summit. 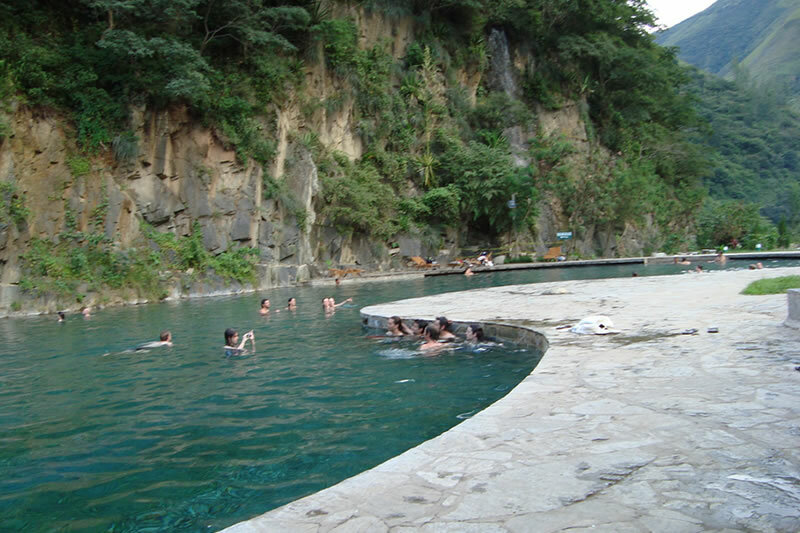 The Baths of Cocalmayo are known for the blossoming of Hot Springs, at the foot of the mountain and along the Urubamba River. The waters of these baths come from the sub-soil and are of mineromedicinal origin with many healing properties, located in a place ideal for relaxing in the natural environment, with abundant crops of coffee, avocado and passion fruit.